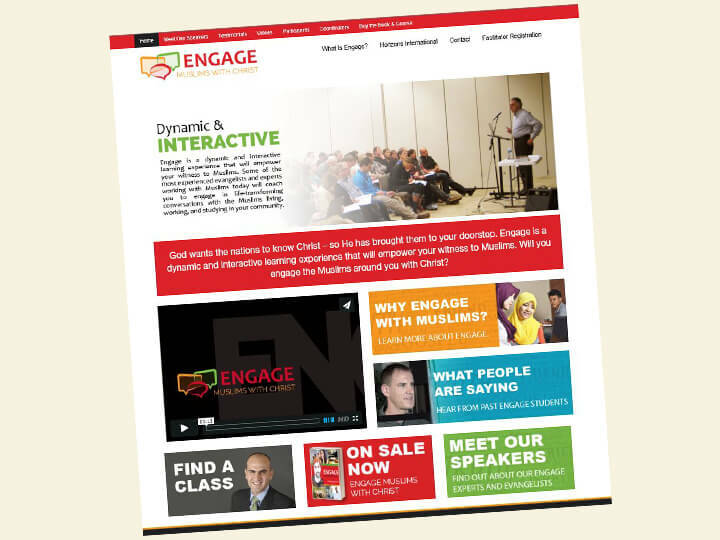 “Engage” is a course through Horizons International about engaging Muslims into conversation about Christ. 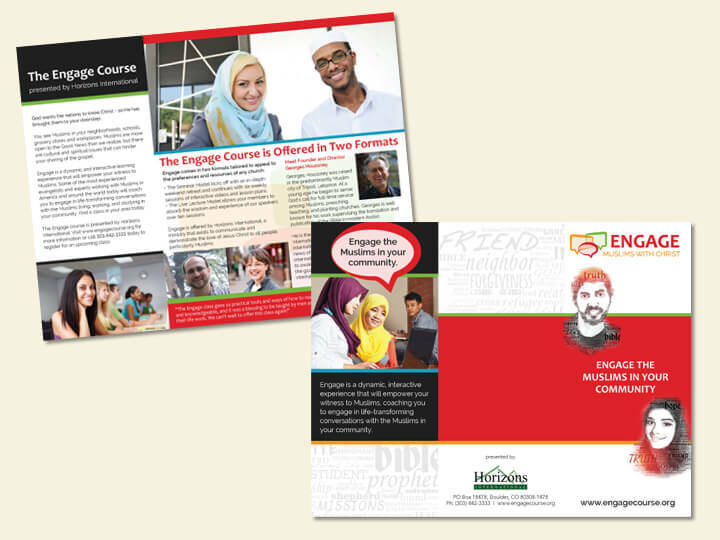 Prior to launching the course, an entire branding package was developed to define the brand, create a visual look and feel for the course, and build a library of promotional assets for the launch. 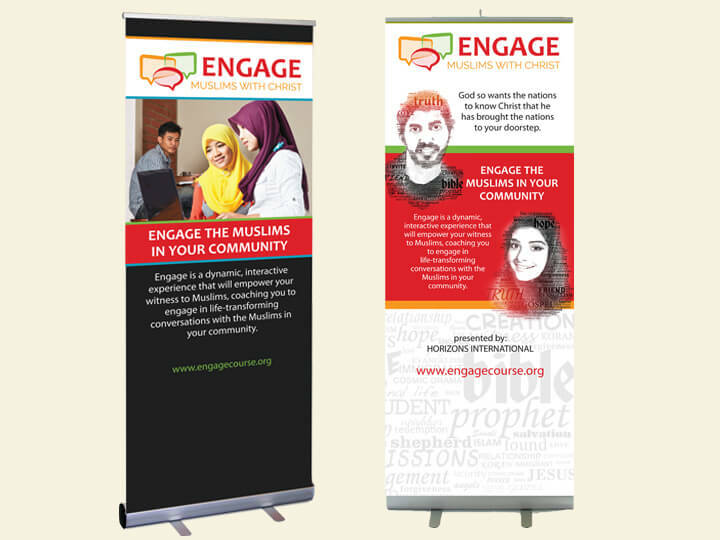 The project included the development of a logo, website design and development, and a library of promotional assets (tradeshow banners, bookmarks, postcards, etc.). Courtney provided all of the design work for the launch. 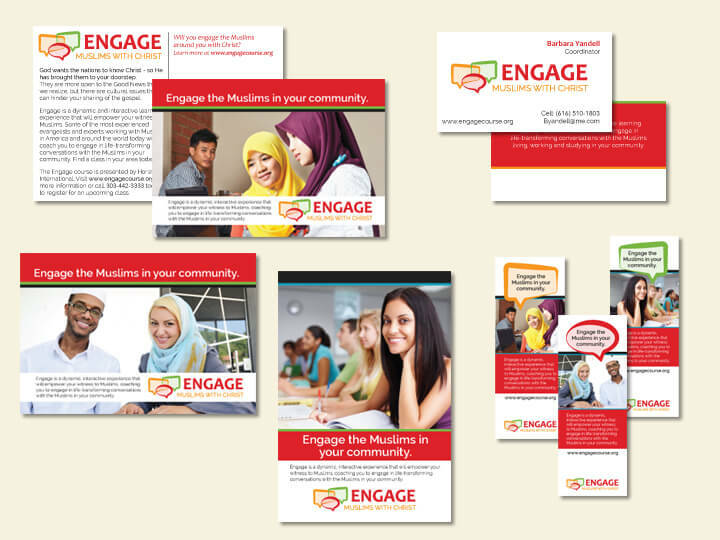 She was also responsible for developing the full-color, fully-designed course book that is used in the “Engage” classroom. The book features more than 100 pages of course content, relevant imagery and notes sections.